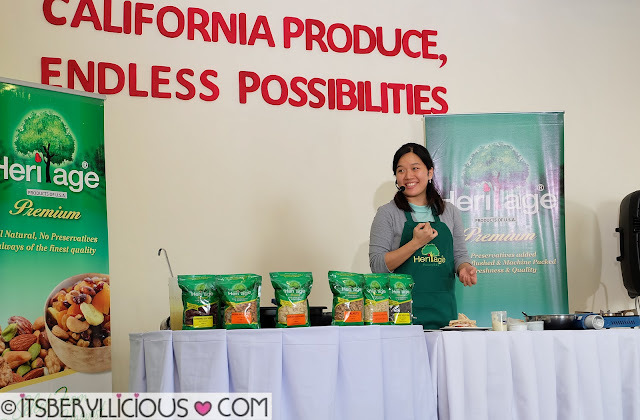 Heritage Philippines recently held a media event and culinary demonstration to formally launch and introduce its wide range of products in the market. While the brand has long been available in leading groceries and supermarkets, the company is currently set to expand and grow its local market presence. 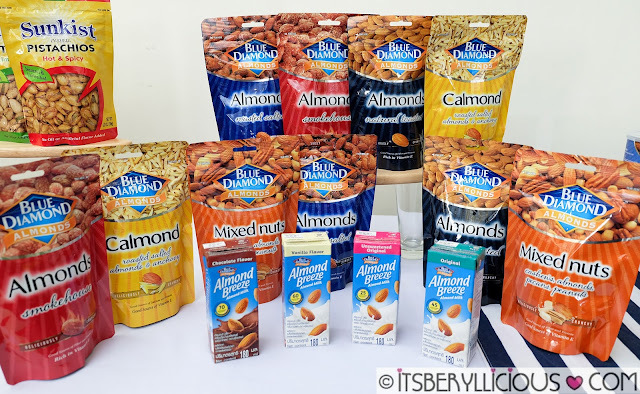 The launch introduced the brand's wide selection of healthy California produce such as almonds, walnuts, pistachios, raisins, and cranberries. Each bag of Heritage Premium Snack is nitrogen flashed and machine packed to guarantee its taste and farm-fresh quality all the way from the USA. 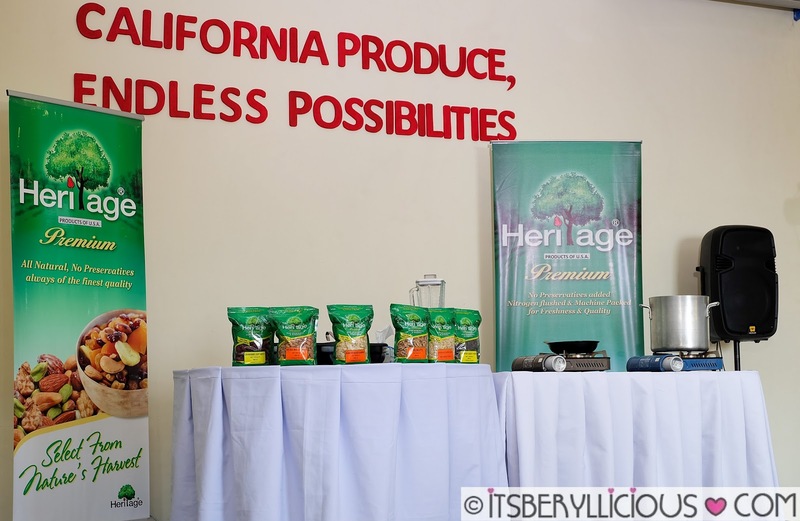 The event also showcased the limitless possibilities of Heritage Premium products through a cooking demonstration by Chef Jo Gosiaco. The culinary demo featured a full course menu of sumptuous dishes made with Heritage Premium products which everyone got to enjoy right after. 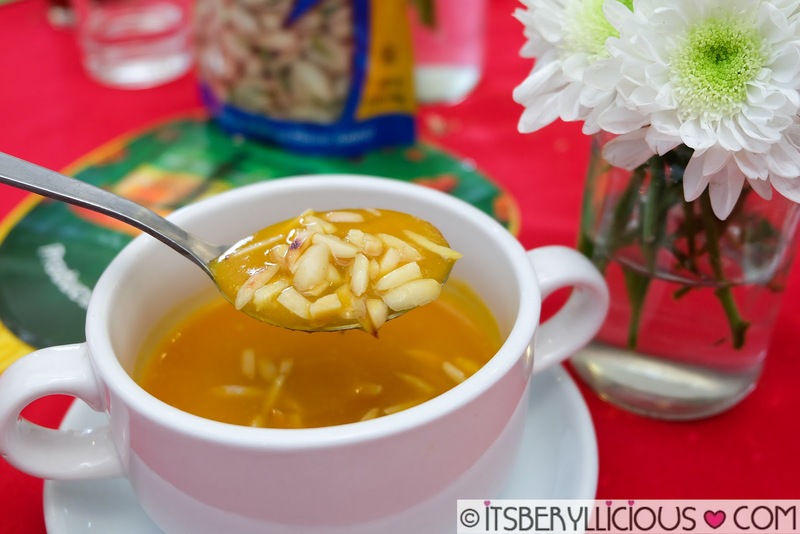 The course started with a comforting bowl of Pumpkin-Carrot Soup with Heritage Premium Slivered Almonds. 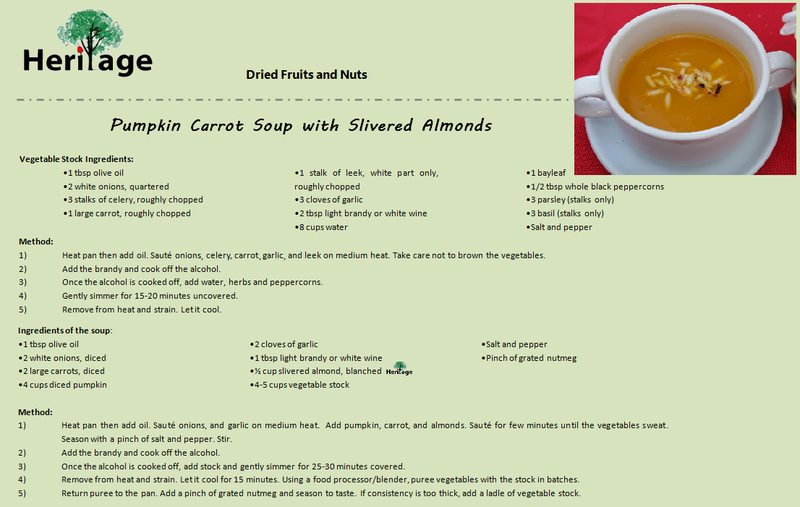 The use of slivered almonds offers a healthier alternative to adding texture to creamy soup recipes, instead of the usual croutons and bacon bits. 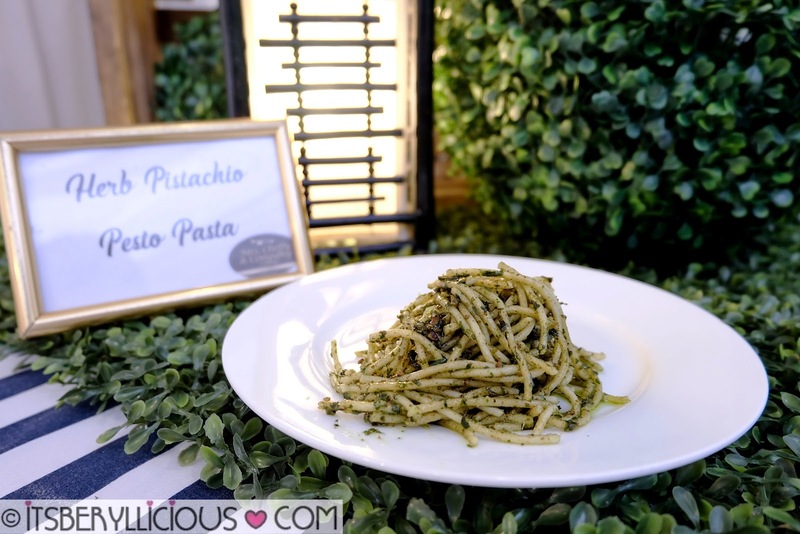 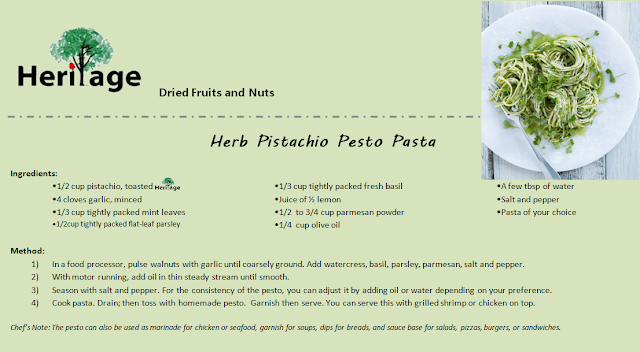 Next dish was the nutty Herb Pistachio Pesto Pasta featuring Heritage Premium Pistachio. You can also substitute pistachios to Heritage Premium walnuts or almonds depending on your preference. 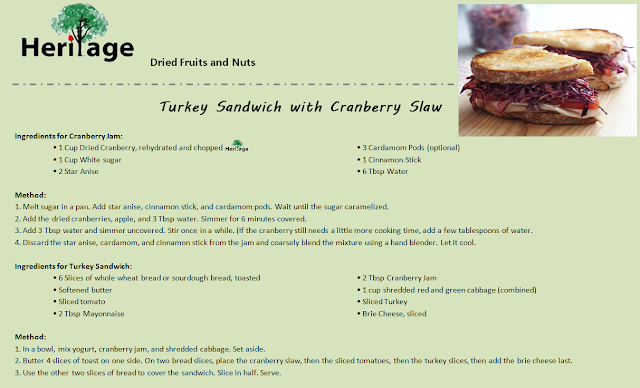 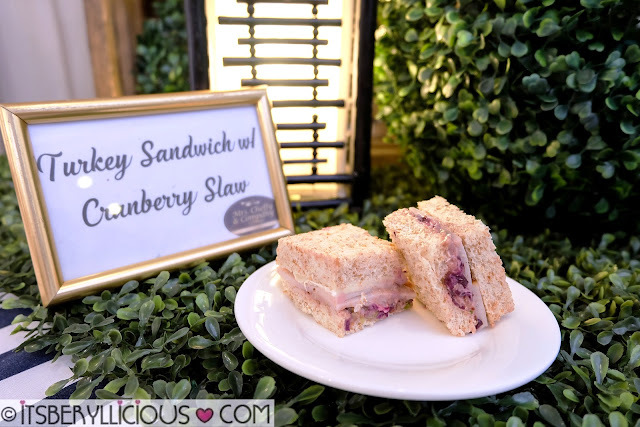 My favorite recipe that afternoon was the Turkey Sandwich with Cranberry Slaw which successfully highlighted the use of Heritage Premium Dried Cranberries. 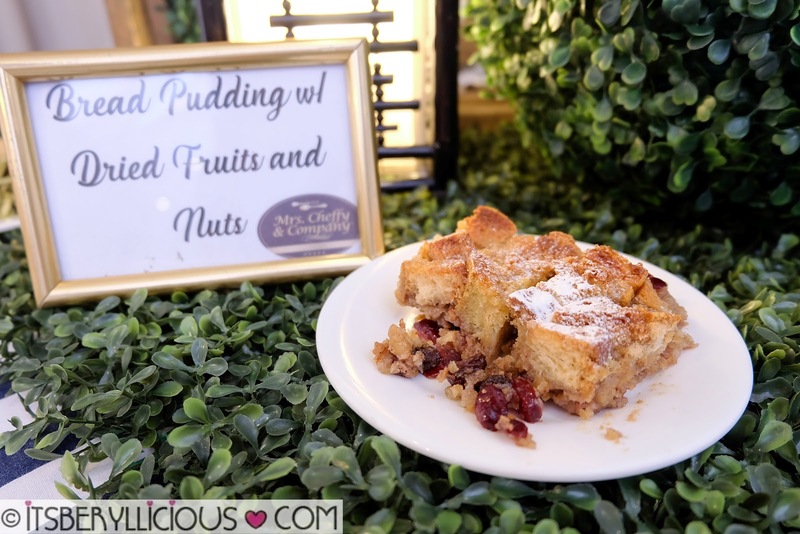 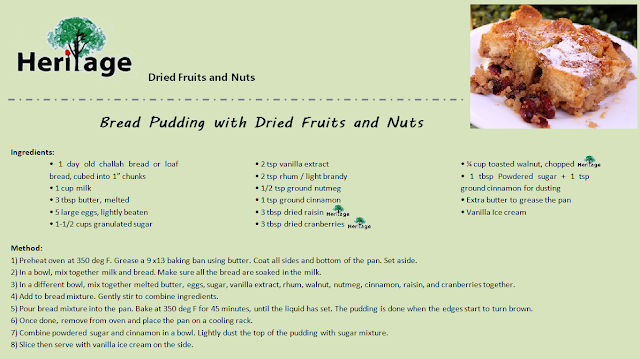 Last but not the least, the dessert of Bread Pudding with Dried Fruits and Nuts offered a power-packed mix of Heritage Premium Walnuts, Dried Cranberries and Raisins. 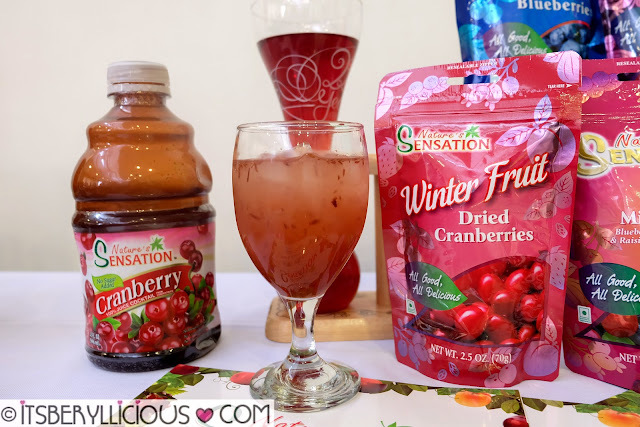 We also enjoyed a refreshingly sweet glass of Cranberry Juice made with Nature's Sensation- another product brought by the same people behind Heritage Philippines. The drink was a special concoction of Dried Cranberries and Cranberry Juice Cocktail. Heritage Philippines, through its products, shows us the many ways on how we can incorporate delicious and healthy snacks into our regular diet and lifestyle. 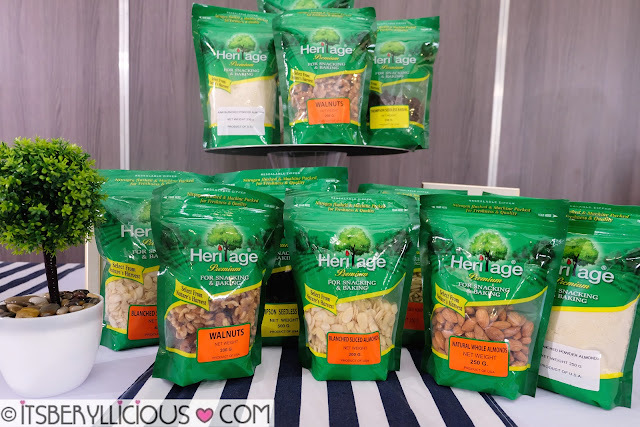 Be it as a cooking/baking ingredient, or as a ready-to-eat snack, Heritage Premium promises a nutritious and guilt-free snacking experience in every pack. Heritage Premium products are available in Unimart, Hi-Top, Cash & Carry, SM Supermarket, Robinson's Supermarket, Rustan's, Shopwise, Makati Supermarket, and Meyro Supermarket. 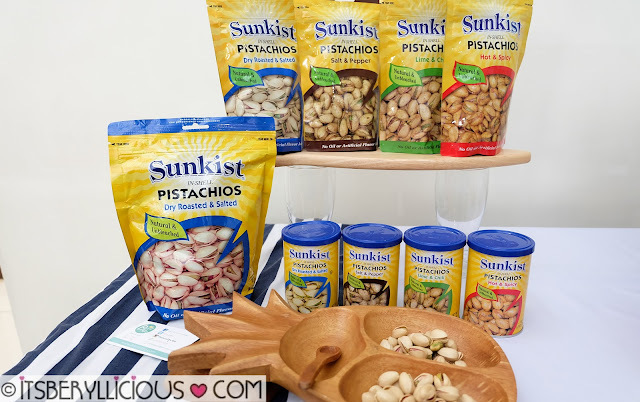 Heritage Premium products are distributed by Goodway International Trading Corporation, who also distributes other snack favorites like Sunkist In-Shell Pistachios, Blue Diamond Almonds, and Nature's Sensation Dried Berries.